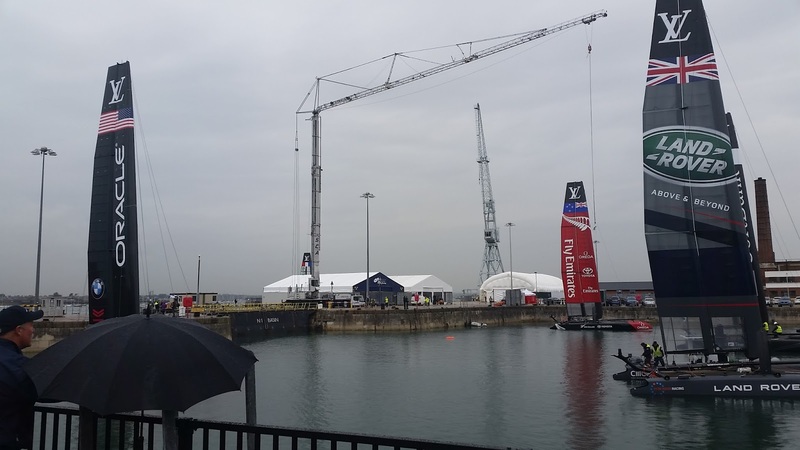 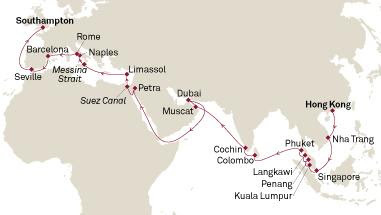 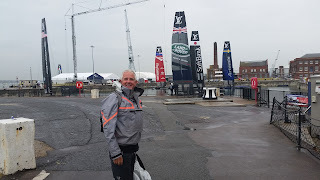 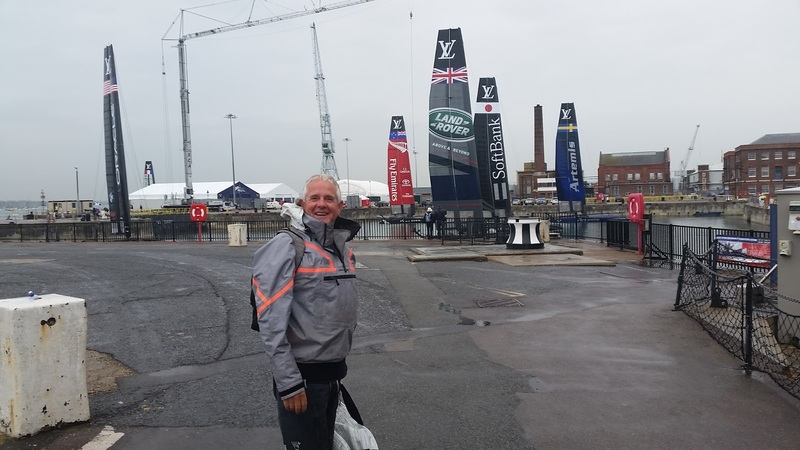 The America's Cup World Series is in The UK this week-and what do you call 2 days of rain in England---a Weekend! 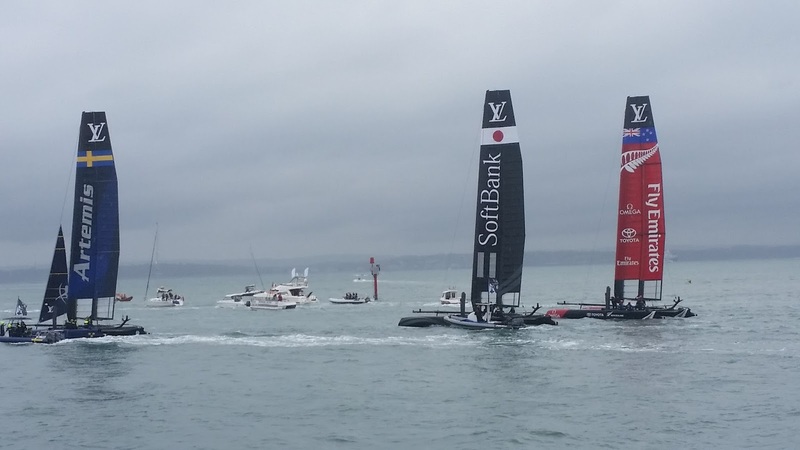 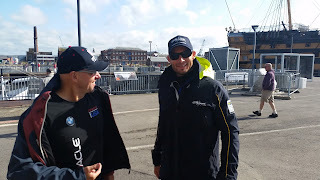 Conditions were shifty, gusty and all-round demanding ,but that helped the teams get the pressure they needed as those AC45 sails turned into engines and got speed. 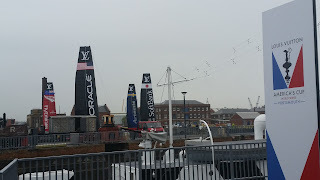 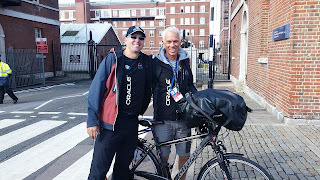 BAR and Oracle USA were neck and neck competitively and it just proved how close the races will be tomorrow and Sunday.